For plant lovers, Bogor has many parks and attractions that provide agro tourism facilities. Besides knowing the various types of plants and fruits, you can also learn how to plant and harvest crops or fruit are provided. Region where the agro tourism not only because it contains a plant is equipped with the facilities of other games that will not make you feel bored. Here are some of the famous agro-tourism park in Bogor. Recreational amenities at the Green Apple Garden Resort villa estate is very diverse. In addition to seeing the strawberry plantations, tourist spot also provides nightly entertainment such as video game center, billiards, discotheque, lounge music, to private karaoke. You can learn as well please yourself because of agro tourism to the discotheque are also available. panorama is still beautiful and cool air will give you a different sensation when it traveled here. In addition Agro tourist and nightlife, you can also try to race with friends to try go-kart or ATV off road circuits. You can also walk on water to get into the water a giant transparent ball or balloon in Wonderland mini. Paintball and combat simulation game arena flying fox are also available here. Back to the main reason leading to this tourist spot is the agro tour in the garden strawberries and vegetables such as kale and spinach. You can pluck strawberries and vegetables as desired. With only need to pay for every one kilo Rp.6000 vegetables are picked, you can bring home fresh fruits and vegetables. In this garden there is also a pepino fruit efficacious cure various kinds of diseases such as diabetes. Dodo, syrup, juice, and strawberry jam sold at Green Apple Garden can also be a choice of souvenirs to take home. Green Apple Garden Resort also provides unique accommodation for an overnight stay. Caravan can be a different option and should be tried. Lodging is typical of American placed on grass. The carriage house has two beds and can accommodate four people. Views of Mount Gede, Mount Pangrango, and hill mattresses making the experience very enjoyable stay at the outdoor. Green Apple Garden Resort is located in Cipanas, Puncak. 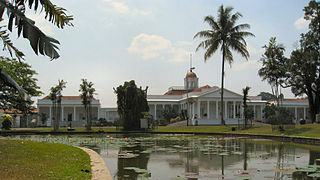 Taman Bunga Nusantara located in Cipanas, not far from the City of Flowers. Gate entrance to the giant topiary peacock will greet you when visiting here. This is a replica topiary animals created by putting together a variety of plants to form a giant peacock very beautiful. In addition to the peacock, in the garden topiary spread various animals such as pandas, rabbits, and ducks. Flower parks archipelago provides a variety of flower gardens reflect the areas of origin such as the rose garden, water garden, garden american, french garden, Japanese garden, Mediterranean garden, bali garden, and a secret garden. French garden is a replica of a French-style garden with a harmonious, symmetrical, and presentable. While the water park has a collection of various kinds of lotus. Giant lotus which comes from american are also available here. One of the must-visit park is a secret garden or maze. Armed with a map, you will be invited to look for the way out to the park special. These maps can be purchased at the Tower of view, which is opposite the park. The tower view, you can enjoy the beauty of the flower garden from a height of 28 meters. You may also be looking at people in the park who are confused maze looking for a way out of this park. In addition labyrinth park, you can also find a giant garden clock is framed by a wide variety of plants. Hour with a diameter of 10 meters will be tolled every half hour with songs that are well known. Ari musical fountain is also not to be missed as every half hour, the fountain will sway for a half-hour of music that accompanies the corresponding rime. Another game arena that you can try on the nature of imagination such as Dotto Trains, Greenhouse, Car wara-Wiri, whitewater floating, ATV, Go Kart, and more. You can also play giant chess. Very large chess board and you can become a chess player’s pawns as well. for the lovers of plants, plant shop available near the entrance. Beautiful and unique variety of plants can be purchased at an affordable price. Taman Wisata Mekarsari has a collection of more than 100,000 plants spread across an area of ​​264 hectares. Orchards located in the area Mekarsari like melon, snake fruit, durian, dragon fruit, mango, rambutan, jackfruit, and others. Tourism in the region is the main variety of tour packages to the orchard. Greenland Tour will take you to get to know and cultivate barking and Melok. Adventure farming and bathing water buffalo can be done in paddy village tour. Smart cultivation tour will teach you how to grow plants with fruit. Shades of tropical gardens is very pronounced in tropical exotic tour. Other rides that you must try is the water zone. On the lake with an area of ​​27.5 hectares Cipicung there are various water games such as water bikes and a unique banana boat. Canal boat to take you around the lake and enjoy the beauty Mekarsari. If you want to try a different atmosphere, you can try floating donut or a giant bubble. Both of these games will force you to play in the water by running or walking in a giant transparent ball or donut. It feels like she fell into the water. You can also try various outbound activities across the lake. In addition, you can also rent a place to play paintball. Paint ball war scenarios to choose from such as the seizure of the fort, familiwar, last castle, brave heart, and others. parking lot near the arena are also big bubble and flying fox. For plants lover, you also can visit the Garden Center. In the shop there are many kinds of plant fruit trees in pots, ornamental plants, and various flowers. Other souvenirs to take home as a variety of t-shirts, pillows, dolls, CD holder, and goods fruit theme can be purchased in the gift shop. Fruit juice, fresh fruit, and a variety of foods from the fruit can be found in the fruit shop. All souvenir shopping place is located not far from the place of information. You are advised to come to Mekarsari in December to February in order to taste the fruit directly. But if it’s outside of months, orchards can still be harvested. In addition to fruit orchards and outbound facilities. Mekarsari also provide waterpark arena that you should try. Mekarsari tourist park located in Cullinan, Jonggol. These attractions include viewing tower, family gardens, train tour, tour package various gardens, water games, outbound packets, and packet paintball group.